Happy Thanksgiving! 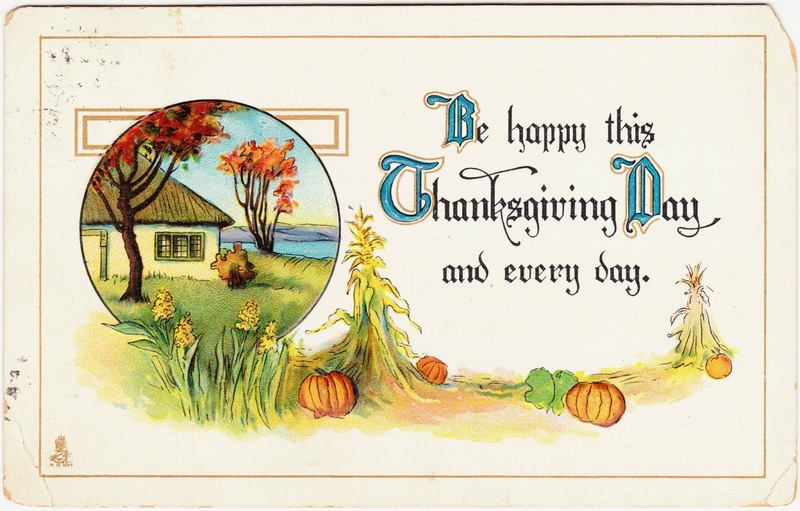 This pleasant vintage Thanksgiving postcard features pumpkins, late-season cornstalks and a modest little house. I am back in the city and working now. I hope this card will find you and your family all well. I saw Blinky tonight. She is still Fat, Ragged and Saucy. So, who or what do we think Blinky is? Man or beast? I suppose it could be a cow (a saucy cow?) or a pig (a saucy pig?). I guess we'll never, ever know. Oh well. BUT WAIT. On a whim, I did a Google search for "fat, ragged and saucy," and here's one of the things I found. 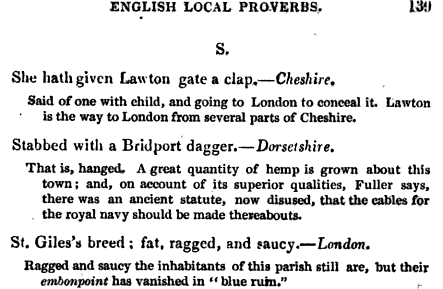 It's a page from 1824's Select Proverbs of all Nations: illustrated with notes and comments. To which is added, a Summary of Ancient Pastimes, etc. with an Analysis of the Wisdom of the Ancients, and of the Fathers of the Church, by Thomas Fielding. So perhaps Blinky is a person. We'll still never know, though. The mysteries can drive you nuts. Things forgotten to time, never to be known. Book cover: "Life in America: The Midwest"